Tomorrow is my day off. 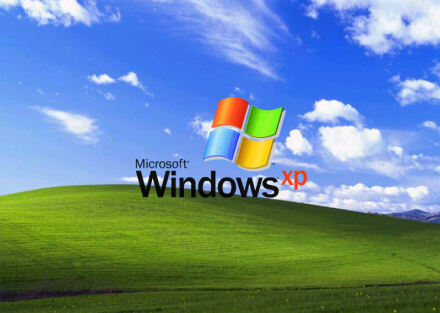 What better way to enjoy my 24 hours of freedom than to reinstall Microsoft Windows XP Professional on my PC?! Despite having been working with Windows since about 1995 I’m still not entirely sure what order to install updates, drivers and software. 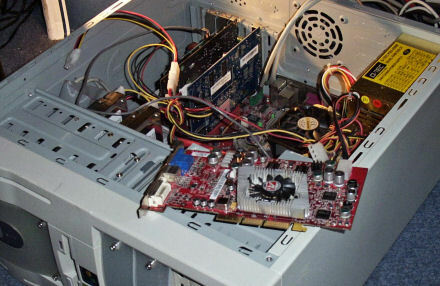 So before I plunge into it this time, I’ve been looking around for some good online guides to installing and tweaking Windows XP, ATi-based graphics cards and Creative SoundBlaster soundcards. The BIOS (Basic Input/Output System) is the bit in your PC that makes helps it start up. It knows how much memory you have, what drives you have installed, and a whole lot more. Getting this right is essential. The Tweak Guides Tweaking Companion is an amazing 166 pages of meaty goodness (or marrow-y goodness, if you’re a vegetarian computer-user). It covers everything from what the various parts of your PC are, through installation, to various tweaks and tips to keep it running at full speed. Another Tweak Guides special, the ATi Catalyst Tweak Guide covers the installation (or upgrading) of the ATi device drivers as well as tweaking them for optimum performance. Those users who want a bit more adventure in their lives can install the Omega Drivers which are a ready-tweaked version of the ATi Catalyst drivers. TechSpot have a Soundcard and Speakers Tweak Guide that includes a section on the Creative SoundBlaster Audigy 2 card. What you really don’t want your PC display looking like! When I switched on my PC this afternoon having returning home from a meeting at the SEC Synod Office, my screen showed bands of vertical lines across it (see image above). 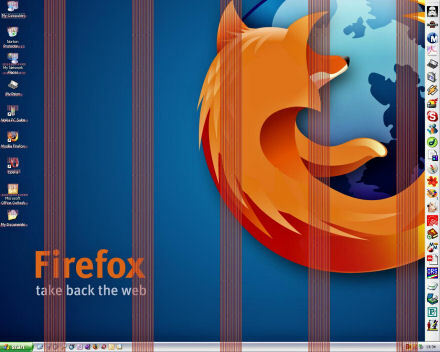 It looked as though Firefox was in prison! I rebooted and got the same problem. I uninstalled my graphics card drivers. Nothing changed, same problem. It was only as I was booting again that I realised that the problem wasn’t just limited to Windows, I was experiencing this graphical ‘infection’ on the bootup splash screen, the POST (Power-On Startup Test), and in the BIOS. Darn! My graphics card is dying. I had an ATi Radeon 9800 Pro 128 MB graphics card. A lovely piece of kit, fast enough for what I needed it to do which is mostly office tasks, some graphics work, watch DVDs, and play a few games (Battlefield 2 being the most demanding application). When I opened up the PC I discovered that for some (unknown and bizarre) reason an elastic band had welded itself to the chips on the back of the graphics card’s PCB. I cleared off the remnants of the elastic band and reseated the card on the motherboard. The image was a little better, but still very bad. Darn! I think I’ve melted some of the diodes on the graphics card! Solution: buy a replacement card. A quick trip to PC World — and telephone call to Jane, who was stuck in a traffic queue somewhere south-west of Stirling — later I now have my PC back up and running with a Sapphire ATi Radeon X700 256 MB graphics card. My PC undergoing open-heart surgery. The old Radeon 9800 is lying on the case, the new Radeon X700 is already installed. Everything is now back up and running, having installed the latest drivers (Catalyst 5.10). Although, I suspect that I’ll still have to reinstall Windows in the next couple of days to sort a reincurring soundcard problem. There’s always something…!